This is my first post dedicated to NVIDIA GRID vGPU technically it's second because the first one i dedicated was to Thanks NVIDIA for electing me in one of the most efficient and effective community of Great Minds NVIDIA GRID COMMUNITY ADVISOR PROGRAM It's Both an Honour and Privilege to be part of this community. Dedicated some time last night and went through couple of NVIDIA Resources to understand the Architecture,Functionalities, Benefits of NVIDIA GRID vGPU. Will be writing more articles related to NVIDA GRID vGPU series but to start with the first one in this series let's begin with basics and then will proceed further with more articles dedicated towards the architecture and its functionalities. NVIDIA GRID vGPU enables multiple virtual machines (VMs) to have simultaneous, direct access to a single physical GPU. Enabling Virtual Machines to receive unparalleled Graphics Performance and Application level Compatibility because the graphics commands of each virtual machine are passed directly to the GPU, without translation by the hypervisor. NVIDIA GRID vGPU is supported on GRID K1, K2, and Tesla M60 each implement multiple physical GPUs; K2 and M60 have 2 GPUs onboard; GRID K1 has 4 GPUs. Tesla M6 implements a single physical GPU. Grid Virtual PC, Virtual Workstation and Virtual Appliance are available on a per concurrent user (CCU) model and CCU license is required for each user irrespective of the fact an active session exists or not to the Virtual Desktop. All three NVIDIA GRID software products can be purchased as either perpetual licenses with yearly Support Updates and Maintenance agreement (SUMS), or as an annual subscription. Full DirectX 9/10/11, Direct2D, and DirectX Video Acceleration (DXVA) ,OpenGL 4.4 and NVIDIA GRID SDK (remote graphics acceleration) are the supported Graphics Protocols. 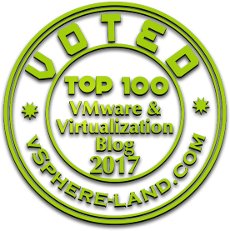 Physical NVIDIA GRID GPUs are capable of supporting multiple virtual GPU devices (vGPUs) which can be assigned directly to VM's using NVIDIA’s GRID Virtual GPU Manager running in VMware vSphere 6. NVIDIA driver loaded in VM’s guest OS helps in leveraging direct access to the GPU for performance and critical fast paths. NVIDIA GRID vGPU can be configured for VM's running on ESXi hosts and Xen server supports configuration and management of vGPU using Xen Center.